A well-developed and organized Education industry is crucial for bringing socio-economic transformation in the country. The Indian education system is, relatively speaking, quite unorganized and a laggard in terms of its growth and transparency. However, in recent times there seems to plenty happening in the education space – the renewed emphasis for this industry in the 11th five year plan and an increase in incremental expenditures in every subsequent Union budget by the Government underscores the importance of this industry for the Indian economy. The Group of Ministers has cleared the Prohibition of Unfair Practices in Technical, Medical Education Institutions and Universities Bill, 2009. However, these bills need to be moved to the Parliament’s Budget session. HRD now has three cleared bills related to setting up of educational tribunals, accreditation body for educational institutions, and the last one on malpractices; which needs Cabinet approval. These efforts to cleanse the educational system were taken by HRD to curb various acts of malpractices like donation, capitation fees, high prospectus charges, misleading promotional advertisements, hurdles in admission procedures, wrong faculty information, etc. The institutions indulging into such malpractices may have to pay hefty fines or even land in jail. The Bill on accreditation makes it mandatory for educational institutions to seek accreditation from various private rating agencies. These rating outcomes have to be made public to provide light to the students and parent community about the various practices and procedures as may be followed by these institutions. 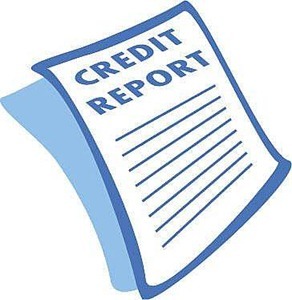 Thus, so far we had seen how the role of credit rating changes, providing a unique range of services from providing insight into operative environment, independent information and research and analysis of various business practices, have assisted in bringing sweeping changes in spaces like finance, investment, risk evaluation, economy, advisory services, etc. Now, this specialized service of credit rating will also include the largely unorganized education sector in order to aid the system in tightening norms and bring maximum transparency. Do you feel that the role of accreditation will play a turning point in the organizing and development of education industry in the years to come? A Hit Bollywood Song – Credit goes to the actor or Lyricist? The reach of accrediation can be wide and not just limited to corporate affairs. The imprints of credit rating can be even wider if adopted in broader perspective. Now, ball is in the HRD ministry’s court. 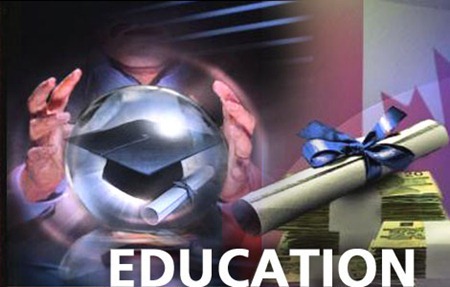 It is discussed above in one of the comments that education accrediation is limited in its approach and viability, as credit rating is more related to the credit worthiness of corporates. But, if we enlarge the purview and usefulness of credit rating agencies it could as well cover enlightenment and alert to many other problems related to education industry and not remain purely limited to rating these institutions. The rating agencies could as well include various aspects under its purview like rating different departments with in an institution. Rating of various specialized courses as may be offered by the insitution. Rating management policies with respect to admissions, school fees structure, accounting standard, teacher’s salary, use of funds and other infrastructural facilities. Thus accrediation of educational institutional can be done from various different perspectives. However, it needs to be seen as to until what extent can the ministry push through the norms for the institutions to be assessed going forward. The ministry may also have to do away with the political pressure to relax on certain terms when it comes to final implementation of rules and procedures. Thank you for all your valuable and input-oriented comments. Great points. The rating provided from the agencies could also be very useful for students, parents and even employers to gain visibility into the quality of students or the value of their certifications when they come out of such institutions. If it starts getting recognised well enough the day may not be far when employment seekers will list it on their resume along with their college or university name (like XYZ college, rated AAA). The intention seems to be in the right place while the steps not be correct. Like Vishal Sanjay says credit rating in terms of the financial situation of the institution will not make sense. This has to be clearly defined as the quality of teachers, infrastructure, corruptness, donation, # of high-scoring students etc. Though the credit rating agencies like Moody’s or CRISIL themselves are not regulated and have pit falls, that might be relatively smaller compared to the overall risk they minimize. One more step towards making education corporate and fundamentally more trade’able. Usually credit rating is the credit worthiness of a corporation and its of no use to the consumer, it will be useful if the school is rated according to its quality, environment and infrastructure. Schools loot a lot of money these days, many schools charge 1000s of rupees for things like annual day’s, teachers day, childrens day and stuff like what they call as charity programs. The worst part is they force students to pay them, so I feel strict regulations are needed.